Resident at new #Michelleparker search site says posts and fence around retention pond removed unknown vehicle driven through. #suspicious. No clue,maybe they will update us shortly. It's good that someone living in the area was paying attention and reported this. It is definitely suspicious. It may not be related...but worth checking into it. Wish more people would look around in times like this...maybe more cases would be solved. Also today, Orlando police Sgt. Vince Ogburn confirmed the Orange County Sheriff's Office dive team is searching a retention pond on Rose Boulevard near Smith's parent's home. "It's part of the continuing search effort," said Ogburn, an Orlando Police Department spokesman. Central Florida News 13 is reporting cops are acting on a tip about someone cutting a hole in the fence around the pond big enough to drive a truck through sometime around Thanksgiving Day. Except for his fantastic sonar.... I don't blame him for leaving, he does have to look out for himself and his organization. I just wish we knew if he felt this was another CA case. I wish we knew too....but I think he did the right thing by leaving....Tim really HATES being in Orlando....but I believe if he thought him being there would make a difference in the search efforts he would have stayed. I don't blame Mark for asking him to come personally and check things out...Tim and Mark have a very close relationship based not only on respect, but they genuinely LIKE each other as human beings. It was pretty obvious to me that TM came for MNJ......especially when he repeatedly called DS the suspect. Good to hear from you Sunny! I have to leave the house in 20 minutes, please keep us all informed as to the search. I'll be leaving shortly as well. I'm going to Jeff Ashton's book signing in Clearwater! I postponed my trip until 4 PM. I am sure the monkeys will keep us informed of the search while we are gone. Lucky you.....wish I was going with ya! Press conference from earlier today. New #Michelleparker search site close to #DaleSmith parents house on same street. Divers in pond now. 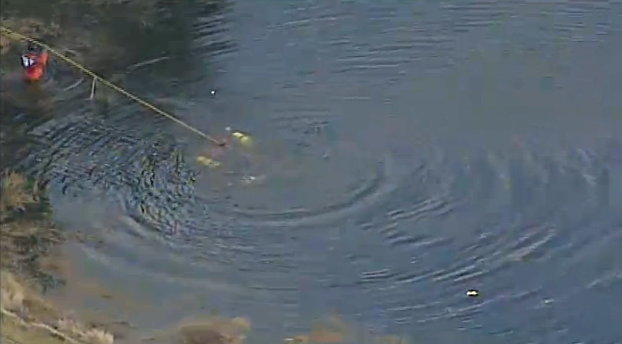 Looks like divers doing a grid search now. Oh no. Chopper leaving for now. Page created in 6.172 seconds with 20 queries.